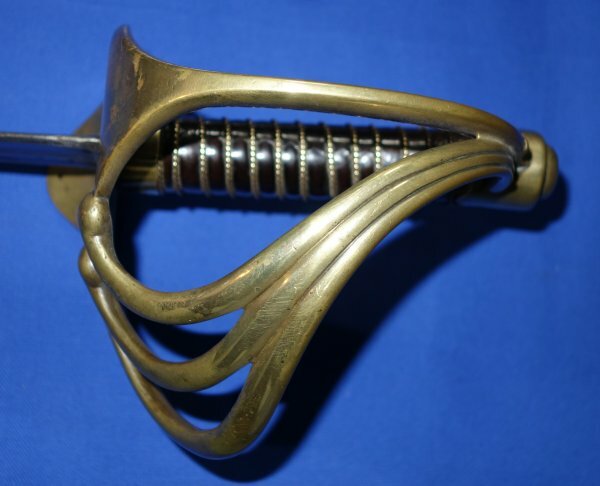 A Napoleonic French An XIII cuirassier / heavy cavalry trooper's sword, most likely a Battle of Waterloo trophy, in very good condition. 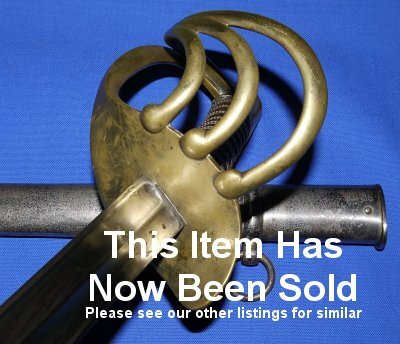 Guaranteed authentic Napoleonic French An XIII cuirassier / heavy cavalry trooper's sword. One of the best condition we have seen in that the original grip leather is in very good condition and the twisted grip wire bindings are original. The blade is dated June 1811 and has the correct poinçons (inspection stamps) for that date. The hilt is marked with several sets of sword (rack) numbers, so the sword has been around and back for period repair / refurbishment (a new grip for example), new scabbard, etc. 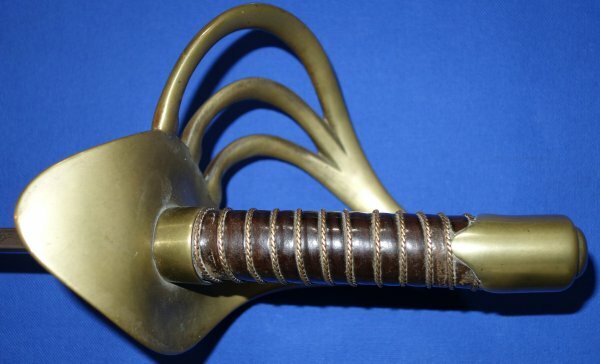 The 96 cm spear pointed blade is in very good condition and firm in the hilt. The grip and hilt / guard with some age but still very good. 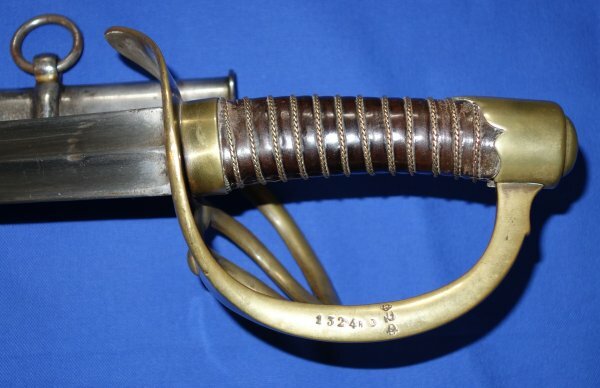 The steel scabbard is a later replacement (not the original 1811 scabbard) and with the exception of a few small rust patches is in very good order. The sword sheathes and draws well but sticks when fully sheathed (maybe just needs greasing; if you wiggle the sword in the scabbard it releases well enough). 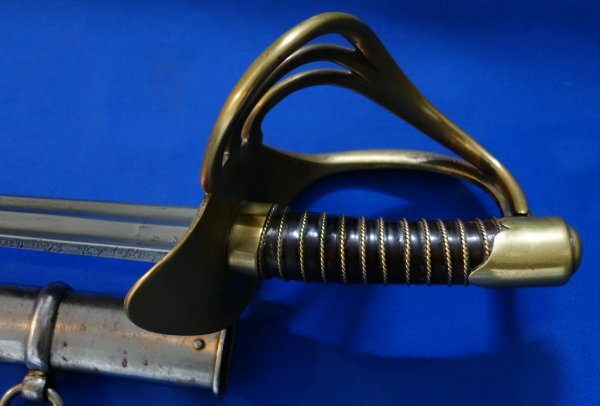 There are no post-1815 inspection marks and we bought the item from a non-collector's estate sale in England (totally unlikely the previous owner bought it while on holiday in France), so the sword is 99% a Waterloo battle trophy. A well above average piece of history for only £(sorry, too late, now sold - but we will reveal the original sales price for this item for a small fee!). Please quote item reference number O79 (1392). Further / full sized images available upon request.